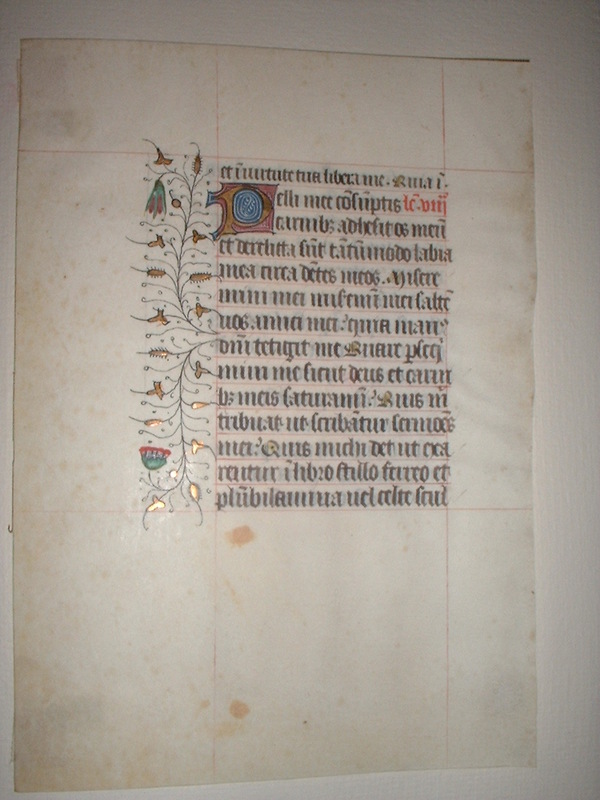 Text: This leaf contains text from the Office of the Dead at Matins, the Third Nocturne, including passages from Job 17 and 19. Reconstruction Note! 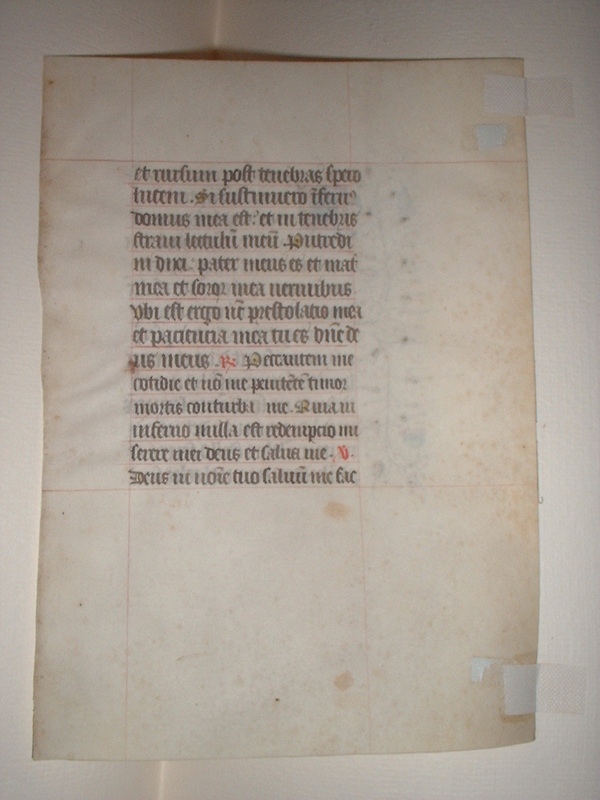 In Ege's original manuscript, this leaf followed what is now Leaf 29 in the Case Western University portfolio, and was followed by what is now Leaf 29 in the Rochester Institute of Technology portfolio. et in virtute tua libera me. Quia in. Lect. viii. ...and in thy force deliver me. For that in hell... Lesson 8.